Vampyr is destined to be a cult classic. It will find a following, and that following is going to be incredibly passionate about it. They will play and replay it, mapping out all the various points where its depiction of London changes, experimenting with the sandbox Dontnod created. It’s a Far Cry 2, an Alpha Protocol, a Planescape: Torment, a Stalker, an Eternal Darkness—or, most obviously, a Vampire: The Masquerade – Bloodlines. What I mean is: Vampyr ($50 on Humble) is fundamentally flawed in myriad small, annoying ways. It’s sometimes a chore to play. It’s over-ambitious and under-executed. And yet every time you’re feeling ready to give up on this atypical RPG, it does something so surprising, so daring, you’re almost tempted to forgive it. 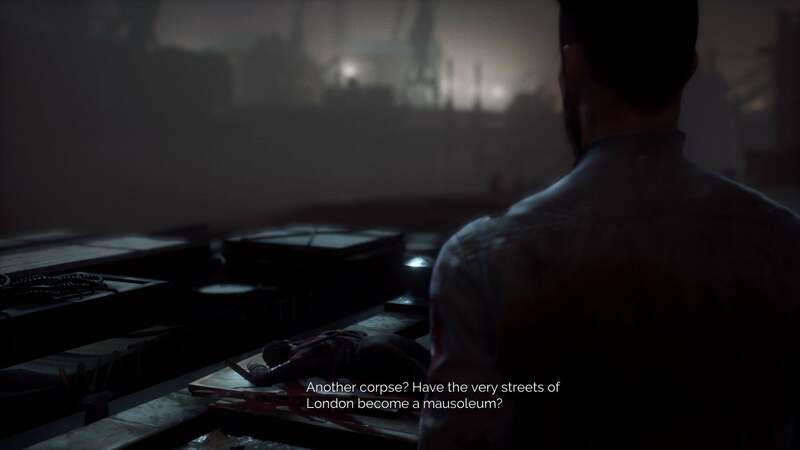 Vampyr hinges on London. The city is no mere backdrop, it’s the main character. Not that you play as a city, of course. 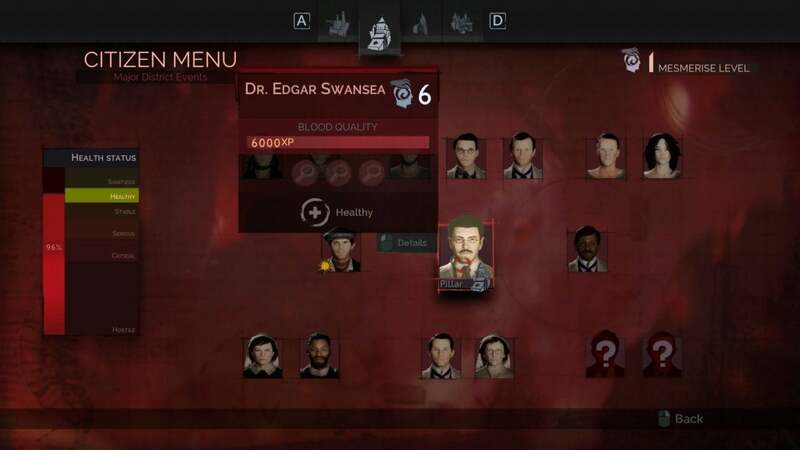 You play as Dr. Jonathan Reid, respected physician, expert on blood transfusions, and veteran combat medic newly returned from World War I to his native Britain. 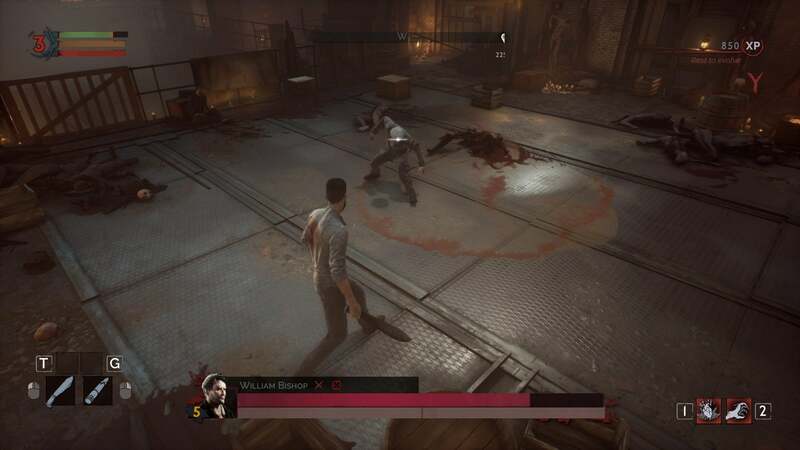 Vampyr kicks off with Reid’s death, or rather his rebirth—crawling from a mass grave, teetering down an embankment, sinking his teeth into the first neck he sees. The titular vampire of Vampyr. Reid is a rather small part of a very large tale though. Using the 1918 Spanish Flu epidemic as its inspiration, Vampyr depicts a London under seige—by disease, by harrowing class divisions, by impending social reforms. This is London with one foot in the Dickens era, one foot in modernity. And the people of London reflect that split. A suffragette, calling out for voting equality on the street corner. London’s “Lone Gourmet,” a man who mostly talks about the West End’s food (while sporting a ridiculous mustache). The mysterious Ascalon Club, a secret society of high-class vampires who claim to rule Britain from the shadows. Your fellow doctors at Pembroke Hospital, pressed to treat as many patients as they can with the limited resources remaining after the war. Clay Cox, local ruffian and small-time criminal. 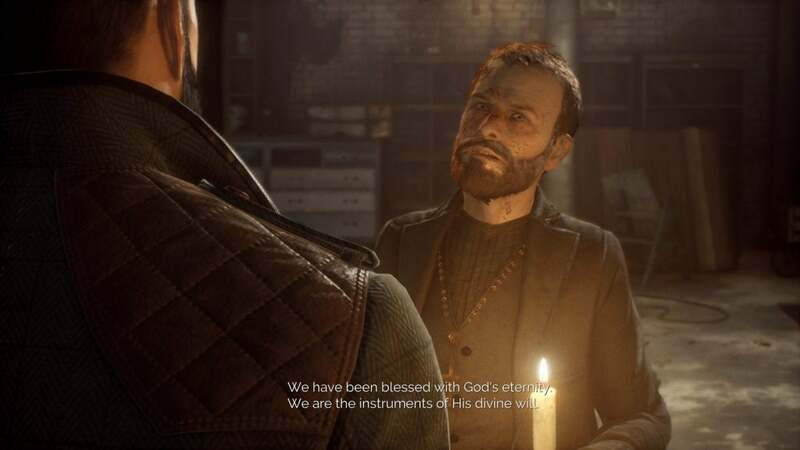 I could name you a staggering number of characters from Vampyr, in part because there are so damn many, but also because they’re often so well-written. Even the most archetypal of characters often has a handful of secrets in store, an interesting little side story to uncover if you’re willing to put in the time. This vast and often overwhelming cast is key to Vampyr. There are four main districts: Pembroke Hospital, White Chapel, The Docks, and the West End. The story trots you through all four, though you’re free to explore or to return to old areas as needed. You’ll have to, if you want to keep London alive. Each district is its own self-contained community. Pembroke Hospital, for instance, is mostly your fellow doctors and a handful of patients. White Chapel is an impoverished and overcrowded labyrinth, tended to in secret by an underground medical dispensary. The Docks are where the criminals live, while West End is home to the heretofore-unscathed elites of London. Reid is the fulcrum upon which it all shifts. Both doctor and vampire, you’re torn between your moral obligation to save people and a more primitive need to kill them. 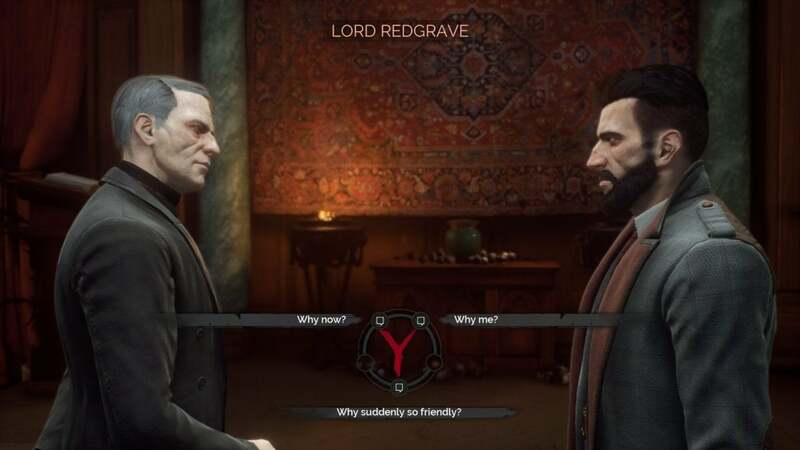 Which you choose, and when, has the power to drastically change how Vampyr plays out. There are maybe 20 people per district, each with a role (however small) in the community. Crime boss, gun runner, local bruiser, bartender, and so on. 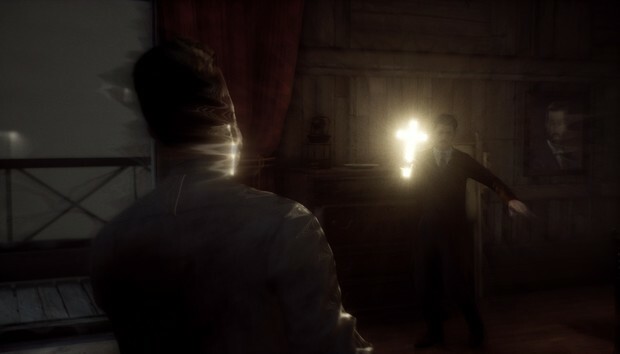 Despite looking like a third-person action game, most of Vampyr consists of casual small talk with the locals. You’ll get to know them, learn who’s secretly racist and who’s in a forbidden relationship, who’s smuggling drugs into the district and who’s extorting local businesses. I’ll say this: Vampyr is terribly paced. It’s a slow and plodding setup, and every hour I spent with it felt like five hours, somehow. It’s like if Mass Effect consisted only of the Citadel area. Every time you enter a district for the first time, be prepared to spend two or three hours just conversing with people, setting up missions you won’t get to for hours. A lot of these conversations are great, but heaping them all on top of each other does them a disservice. I’m a story-centric player, and even I found my eyes glazing over at times. The simulation is also a bit stagnant. Characters don’t really have schedules. A few wander up and down random streets or have small scripted interactions, but most are content to stand on the same street corner all night long waiting for you to show up. The map is enormous and mazelike, and Vampyr doesn’t make good use of it at all. But you couldn’t have Vampyr’s high points without the sprawl. As I said, it’s up to you who lives and dies in these communities. Sometimes that’s through inaction—people get sick and die if you don’t treat them quickly enough. Other times, it’s a conscious choice. The easiest way to increase Reid’s vampire powers is to kill citizens. So say you find out a local slumlord is a massive racist? Yeah, you can lead him into the shadows and kill him, earning yourself some nifty new abilities in the process. “Wait, isn’t that morally wrong though?” That’s the central struggle in Vampyr. Maybe you kill the slumlord and the chain reaction afterwards leads to even more deaths. Maybe it just means you miss out on the ending of someone else’s story—many of them are intertwined. Maybe you don’t care and go full scorched-earth, killing everyone in an entire district, leaving the area to fester but becoming unfathomably strong in the process. Or you could play the Good Samaritan, healing all comers regardless of their personal circumstances, trying to rise above Reid’s nature—and making the game harder on yourself. Those decisions can also have far-reaching consequences for London, especially when it comes to the “Pillars” of the community, central figures who play into the story in a larger way. An early mission has you uncovering a secret clinic in White Chapel for instance—and then deciding whether you let that clinic continue operating, even if it means more problems for you in the long run. It’s...complicated. And not always successful. A lot of the consequences I incurred weren’t even slightly implied by the dialogue options I chose, and that’s always frustrating—to feel like you’re not in control of your own fate, or that you were acting on bad information. Sometimes characters react in weird ways too, or Reid says something you didn’t mean, or events go completely off rails. And yet that’s what makes Vampyr so intriguing. 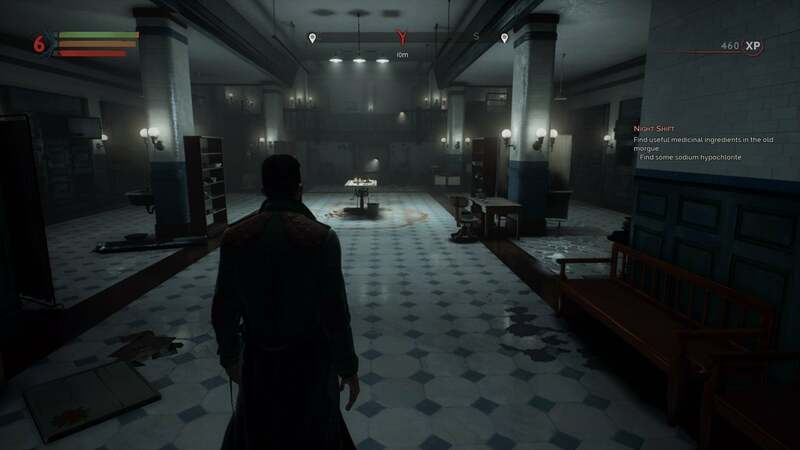 Unlike most choice-centric games, where it feels like you’re splitting hairs on how events play out, Vampyr’s London feels ripe for exploration. A character living or dying can vastly change, if not the central story, at least the circumstances in which the story plays out. It’s not a perfect simulation. It’s a long way away from the dialogue-heavy “immersive sim” it so clearly wants to be, and yet what’s here is full of potential. 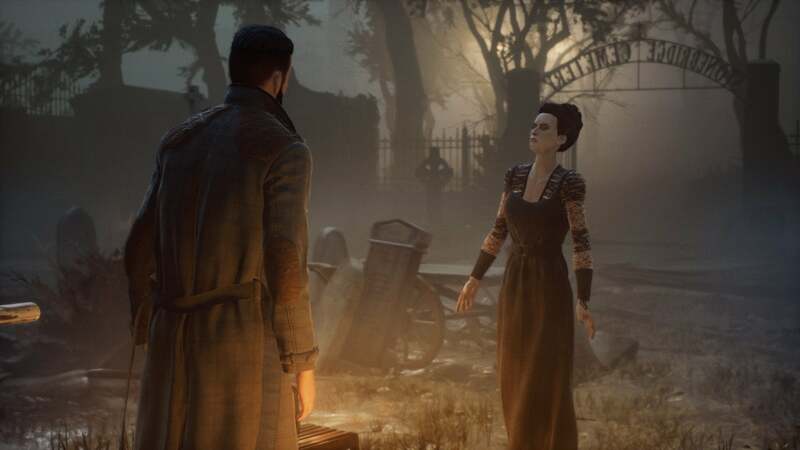 Vampyr’s London is bold and daring, sometimes broken, but infinitely more interesting than the lifeless and inflexible towns that inhabit most games. And that’s why I’ve found myself attracted to Vampyr despite all its flaws—and there are many. The combat system is clunky and unpredictable, not to mention almost unplayable with a mouse and keyboard. (Controllers work fine.) The map is essentially useless. The game is probably twice as long as it needs to be. Conversations are static and dull, even when the dialogue is well-written. There are a lot of rough edges, a lot of barriers in the way of enjoying Vampyr. And yet the people who can persist through the problems? I think they’re really going to love it, the same way some swear by Alpha Protocol or Far Cry 2 or even the original Witcher. For everything it gets wrong, occasionally Vampyr breaks with convention in ways exciting and (hopefully for other developers) inspiring.